Ready to use & fast knock-down. 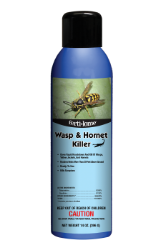 Kills Scorpions and gives rapid knockdown and kill of Wasps, Yellow Jackets and Hornets. Reaches nests more than 20 feet above ground.